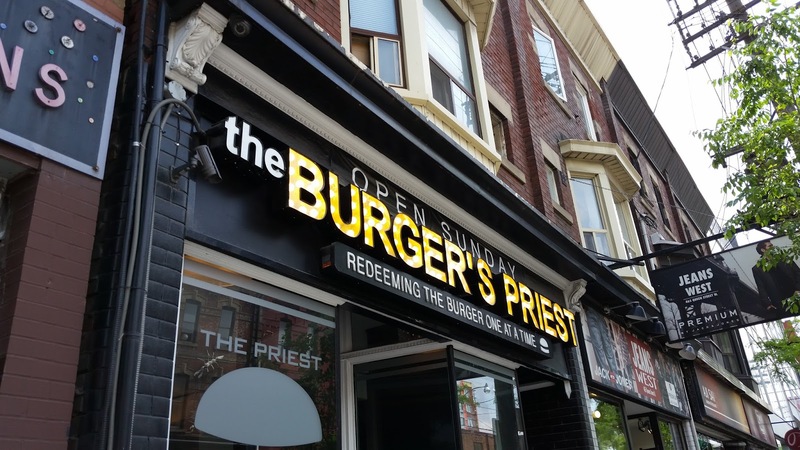 The Burger’s Priest is a burger franchise that is famously known by many. Time and time again, my friends have recommended this place and promised it would have everything they could possibly offer in a burger. One afternoon when my mom and I were spending the week downtown together, I decided to take her here to try it out with me. The ambiance was lively, given that it was the afternoon and the place was filled with customers. The lovely lady at the cashier took our orders smoothly, kindly asked for a name for the order, and gave us a number as well so when the order was ready the cook would call out both name and number. My mom and I grabbed a seat and waited for a few minutes, and our order was ready for us in no time. Unfortunately, the place was a takeout kind of restaurant, so the displays weren’t the best. However, the tastes were definitely on point! 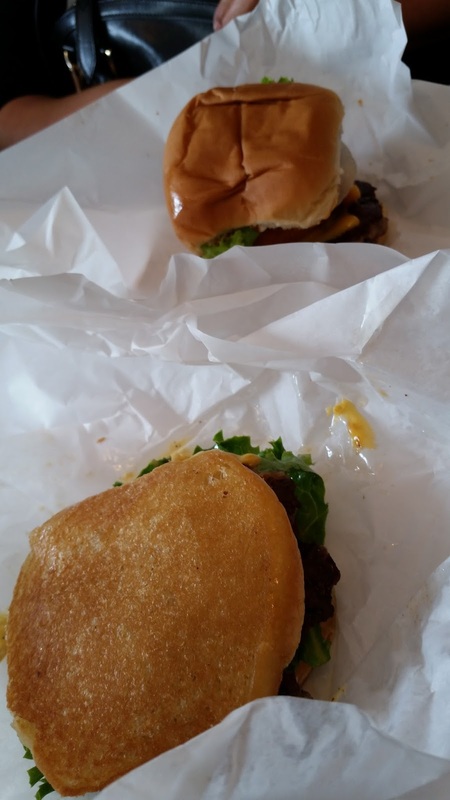 My mom ordered the Priest Burger – a classic choice by many which consisted of two roasted protobello mushroom caps, panko crusted, stuffed with cheese and fried to perfection. 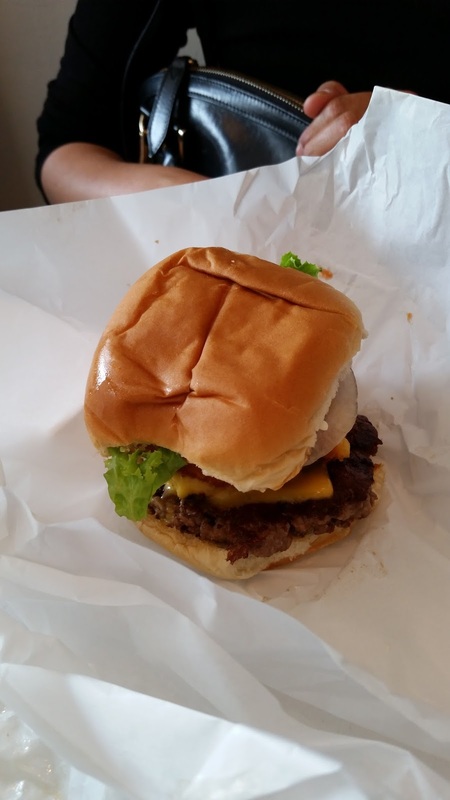 For myself, I ordered the California Classic which was a cheeseburger with a ring of sauteed onions, sandwiched between buttered buns, topped with secret sauce, lettuce and tomato. 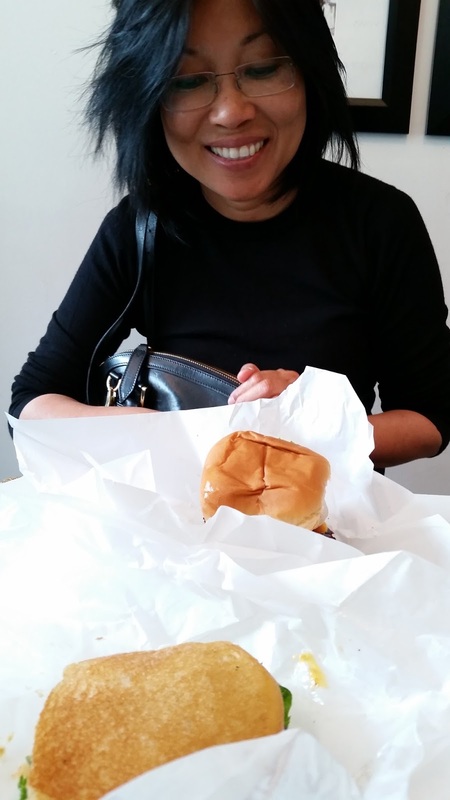 Mom looks quite pleased with her order!